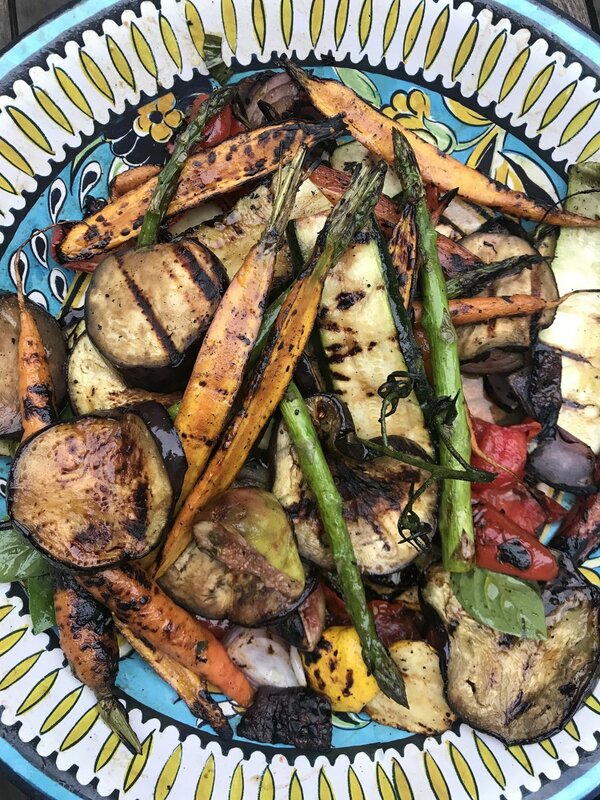 Perfect for entertaining, or for a family dinner with the hopes of leftovers, here's how we've been enjoying our grilled veggies. Our secret is to include a punnet of figs (so cheap at the moment - and they used to be such a luxury!) and to marinade before grilling. These veggies are delicious on the side of some barbecued steaks, sausages or halloumi. Preheat BBQ to medium high heat. In a bowl, whisk together evoo, balsamic vinegar, honey, mustard, garlic, basil and rosemary, season with salt and pepper. Toss marinade with veggies, let sit for 10-15 minutes. Grill veggies on bbq hotplate. Cook, turning occasionally, until vegetables are lightly charred all over, about 10-12 minutes. Serve immediately, drizzled with any remaining marinade. FF - omit garlic, onion, asparagus and figs. Suggest substituting grapes for figs. Check out more simple, healthy and family friendly recipes here. Rachel is a university qualified Clinical Nutritionist based in Balmain. She is also the busy working mum of two teenagers, so is practical and realistic with her advice . Rachel offers private consultations to improve your family's health and well-being. You can find her on Facebook and Instagram for more healthy tips and tricks.